It may be after hours for other nations but nightfall in Australia means there’s sports on abroad. 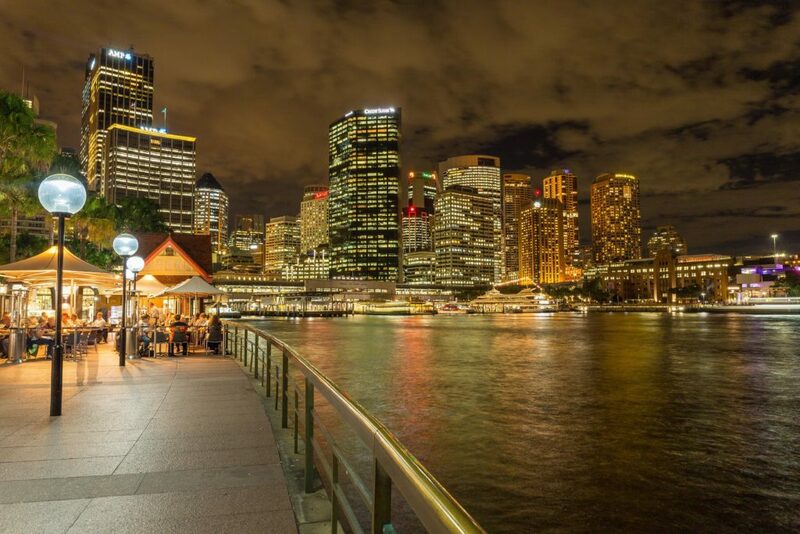 Picture: Melbourne, Australia at night. Its an oddity of living in Australia that few people may at first understand. It may be hard to imagine we have a winter – and true, few Australians kept from their surfboards and summer bike rides may be happy about it – but the trade off to winter-living in Australia is the bounty of sport on offer during this season, albeit after hours. This is true not just in June, July, and August; but all months of the year. The deeper answers for why the nation is sports mad are best left to a certified sociologist. At its core though it can be offered it’s a nation with a love of healthy competition, and also community. For a nation that for much of its early history was largely isolated from much of the world, the kinship and connection felt by community – that no matter who the athlete or team is if they wear our colours we’re going to back them – has lingered long in our local sports, our national competitions, and has been at the forefront of our international competition. ‘Alright people settle in, there’s a game at 3am and no drop bears in sight. Life is great in Australia’. A reality of international sport though is for Australians it is most often viewed out of hours. The NBA Finals may be prime time in the US but in Australia the Cavs vs Warriors were 9am, 10am, and 11am games. Then you have European football. Support a team in the Serie A or La Liga? It may be an evening match in Rome or Madrid but get ready for setting your alarm at 4am in Australia – and being awfully bemused over breakfast at a 0-0 draw. Watching sports in odd time zones is not unique to Australia – for many ‘travelling’ sports like cycling and motor racing means even the US or Europe watch at an odd time now and then – but the time zone versus our scale of achievement is. For a nation of around just 25 million we’ve made a habit of grabbing trophies left and right across a huge array of sports, and regularly hung around the top of the Olympic table notwithstanding other leaders in the US, Russia, and China boasting comparatively huge populations. With this rich history of competition and success at the highest level of sport someone from another nation may be tempted to ask ‘Do Australians take it for granted?’ Well, its true for many an overnight match or game goes missed – for love sports though we may we’ve work in the morning just like the rest of the world – but even then oftentimes a city bar shall be full of workers at 12pm, or a student will be sneaking cheeky glances of live highlights on Twitter amidst an otherwise important university lecture – and so we celebrate the monumental and world-beating victories at odd times of day. Yet, we do so also celebrating not just a win, but also the rich potential of sport beyond athletic achievement alone – showing the very values on which the Australian Project has been built and shown to succeed. It’s the sort of spirit visible in the 2015 Giro D’Italia – where having got a flat tyre Sky rider Richie Porte was given a wheel by fellow Australian Simon Clarke, a member of the rival team Orica Green-Edge who felt not helping out a mate would be a bigger sin overall than getting a 2 minute penalty for doing so – a penalty since much decried given the sportsmanship shown. How else to then properly explain to someone from beyond Australia the immense national affection for John Landy without this spirit. Landy, the mile record holder – who even though in the 1956 Olympics was in the event of his life in his hometown of Melbourne – still decided to stop mid-race and help out fallen racer Ron Clarke (ultimately was so fast Landy he caught up and won anyway!). It is not HD and the production values may be aged: but Landy’s example is timeless. And, this is an era where Australia’s greatest cricketer Don Bradman won acclaim for being fundamentally dominant as an athlete- the sport’s version of a Lionel Messi or Lebron James – yet renowned as a otherwise humble and respectful off the pitch. This dosen’t mean to say these achievements and examples are totally unique to Australian athletes – for many other great scenes of victory and camaraderie have been shown by other athletes faithfully representing their home team across the world – just rather that these examples speak to something deeper of what it means to be Australian. Not unlike the way a generation before Bradman, John Simpson and his donkey captured something that lingers long today – where amidst the otherwise horrific tragedy of Gallipoli – came a magnificent showing of selflessness, where this duo faced at immense risk and danger, all in the name of helping someone else out in their time of need. The difference between the settings of Clarke’s, Landy’s, and Bradman’s showings are huge and immense – for sport unquestionably pales in scale or seriousness to a battlefield – but the commonality in the national ethos is the same. Play hard, and work to win; but remember there are things bigger than the game. Such a spirit may give a deeper insight into why it is the Great Southern Land has so long loved its sport for its representation of the wider stories and beliefs we share. It may have been 1am when Australian watched Lleyton Hewitt win at Wimbledon. It may have been 2am when Cadel Evans was crowned a Tour De France Winner, 3am when we’ve seen Casey Stoner win it all – and do so twice – in MotoGP. It ilustrates why Australia II’s victory in the 1987 America’s Cup delivered a win for the ages, why the 2006 run that saw a underdog Socceroos go deep into the World Cup and create some iconic sporting moments– and almost always in a match at 4am or 5am Down Under – meant so many Australian’s could be seen bleary eyed and sleep deprived the next day. A goal and game that affirmed Australia meant business at the 2006 FIFA World Cup. 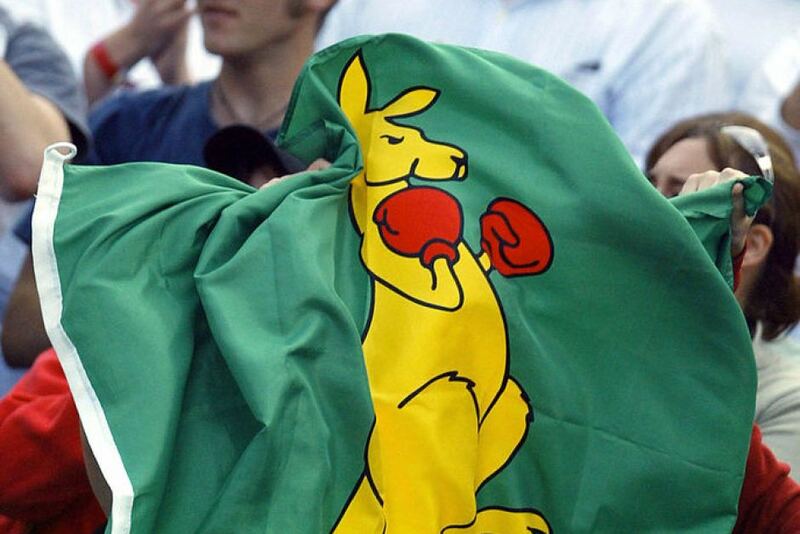 It also explains why a near-national emergency arose when some dour bureaucrats running the IOC in Vancouver’s 2010 Winter Olympics tried to ban our iconic Boxing Kangaroo sporting flag. They failed. So, even now, just as Jack Brabham and Alan Jones have done it prior, Australian racing fans have regularly watched Mark Webber, and most recently Daniel Ricciardo of Red Bull race around the tracks of Europe and Asia at odd hours, seeking out another World Driver’s Championship for the land Down Under. Those who often say Australians are sport mad will point to the games we play and the contests in which we partake during the day – an AFL Grand Final in September that sees the roads in major cities of million suddenly resemble quiet country towns, of a Melbourne Cup horse race that stops a nation at 3pm, and a Sydney to Hobart that sees so many Australians take to the shores of Sydney Harbour the day after Christmas to watch competitors sail off – but just as there are great events we watch and engage with during the day; surely we’re just as invested during the night.